Another especially interesting part of Peloponnese is the southwest region with the cities of Kalamata and Pylos and other historical towns. 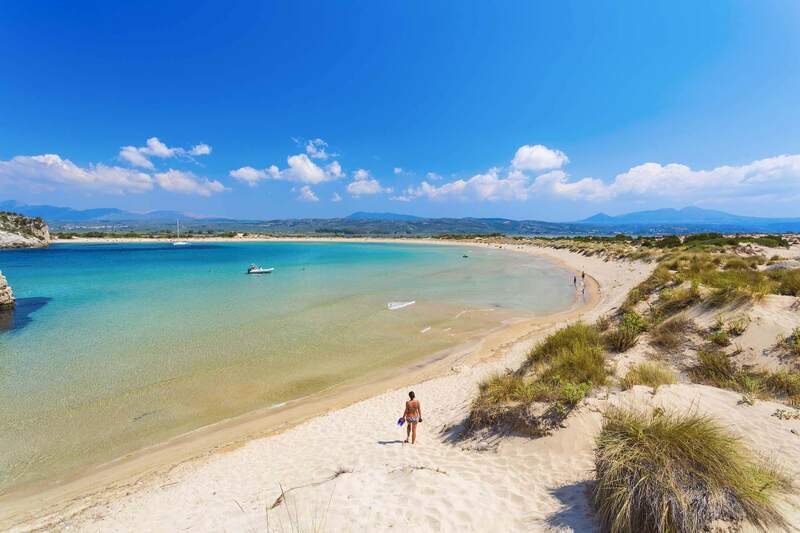 The peninsula of Messinia is for many people the most naturally beautiful part of whole Peloponnese. You will need approximately two days in order to see the main attractions and to relax a bit within the rich, natural environment. A perfect time of the year to travel to this place is summer, so you can enjoy all of the amazing beaches and the waterfalls and the rivers as well as the paths among the various forests and all the outdoor activities offered. You can start on the first day in the morning from north of Oitilo village and straight to Kardamili city, which is situated in the middle of the southern part of Peloponnese by the sea. On your way there, and if you follow the seaside road, you will pass by many stunning beaches like Stoupa, Kalogria, and northern Foneas beach. Except for Kalogria, the others are not organized so you have to supply all necessary things like towels, maybe a sun umbrella and water. All in all, the color of the sea and the surrounding area will simply take your breath away. Within just 5 minutes, you will be reaching Kardamili. A picturesque village by the sea with stone built houses and tall trees that go all the way down to the shore. Imposing mountains that stand like forever to their position looking down on this little town with the narrow alleys and the taverns with the tables on small back yards. Flowers and fresh smells will make you feel deeply relaxed and joyful and the pictures you are going to take are really unbelievable. You may have a short stop to Lela’s tavern and even though it is extremely famous for the seafood and the meze style food, you can sit there for a coffee and a snack on the terrace under the trees, just to keep you strong and ready to continue your trip overlooking the sea. 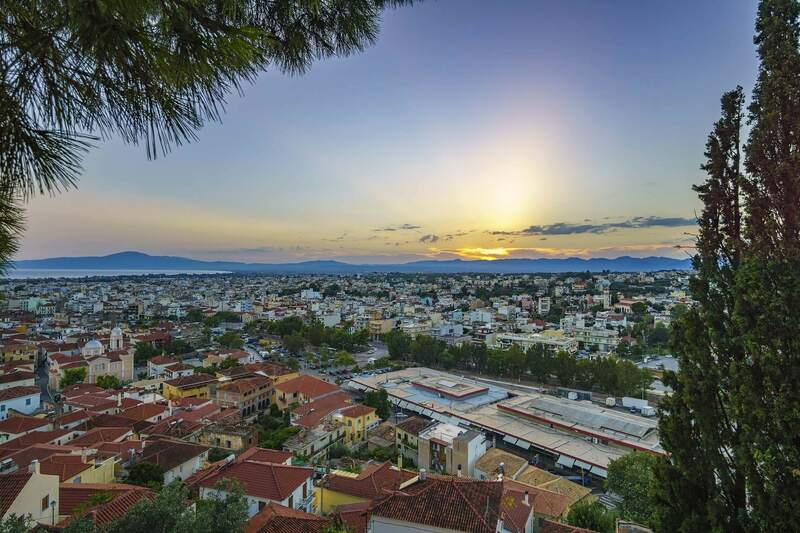 Almost 1 hour later, you will enter the capital city of Messinia, Kalamata. A beautiful city by the sea that features well-designed squares and buildings and all the modern facilities and structure for the traveler, including an airport. In Kalamata you probably are at noon which means you will have some time to eat lunch and get some rest for the rest of the journey. Cardamom restaurant is a nice option in town with fine Greek cuisine and a lovely environment. Spend an hour or two there and regain some strength in order to have a lot of it for what comes next. 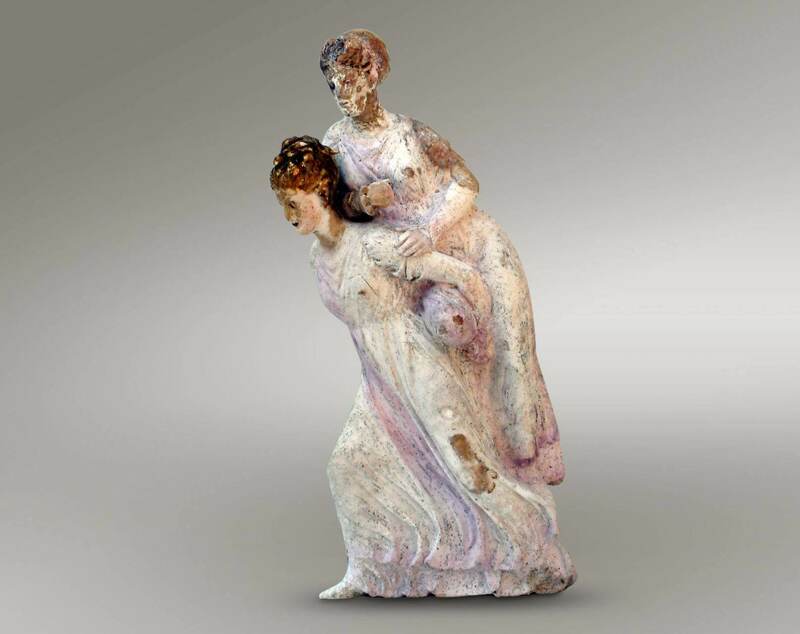 The Archaeological Museum of Messenia located in Kalamata is a museum of a great interest, where you can observe the passing of previous time in the area and how it has affected Kalamata during the decades forming its culture and today’s everyday life. Then you can be led to the Monastery of Constantine and Helena Saints Nuns, which is located right in the middle of the town surrounded by trees and beautiful nature. It is a direct way to know more about the Greek Orthodox church and the daily routine of people living there and who have dedicated their lives in the name of a greater good. Late in the afternoon, it will be the time for you to drop off your personal belongings at a nice hotel and have some moments of rest and peace before you go for an evening walk to enjoy this modern city. One excellent option is Thea Petra, one of the Peloponnese hotels that are built out of stone and natural materials on a higher cliff in a village called Verga outside of Kalamata. Spacious rooms and elegant furniture along with the breathtaking view will satisfy you for making this choice. Furthermore, if you are looking for something more luxurious, then the resort Horizon Blue is the ideal for you. Pools and spa facilities, luxury amenities and all you can imagine in rooms offering comfort and relaxation during your stay there. 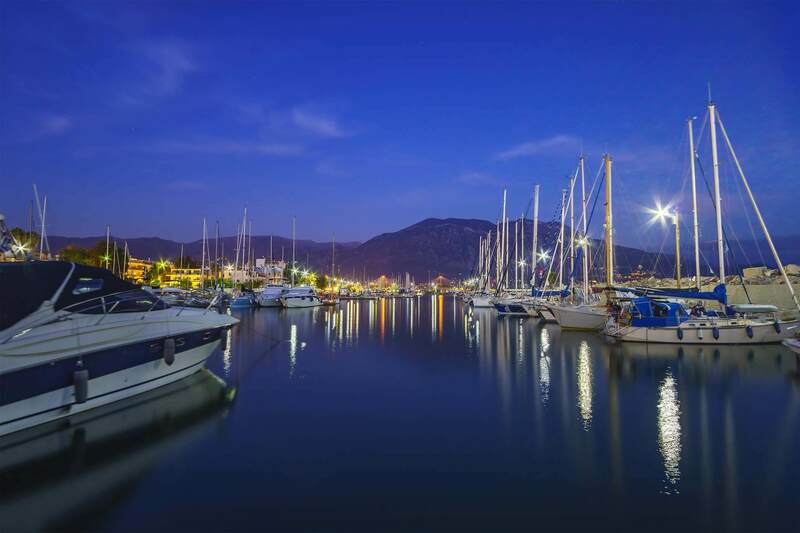 In the evening you can start a visit in the town and follow the locals if you would like to be led directly to some of the finest bars and Peloponnese restaurants in Kalamata. One of them is the Tricky bar with the fancy decoration and the exotic like mood for drinks and cocktails and one more would be Thalassa with the excellent location and signature cocktails also beloved for the Mediterranean food. If you feel hungry the restaurant Ta Rolla serves traditional homemade dishes full of flavour till late at night, as having dinner even later at night is a common habit among Greeks, especially on summer time. On the second day, after your breakfast and your check out of the hotel follow the seaside road to Koroni Castle. A beautiful monument that was rebuilt and expanded by the Venetians in the 13th century. The one side of the castle reaches the seashore and it has an emblematic figure that makes you want to stare at for long. On your way to the next place of interest, make a small stop to Finikounda beach for a quick dive into emerald waters to cool you off a bit and then continue. 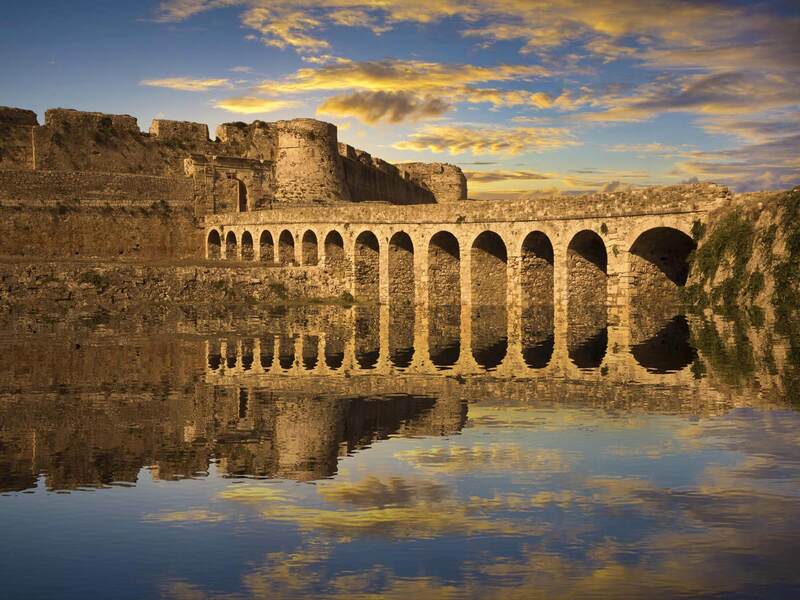 Up next is the Methoni Castle on the opposite side of Messenia and Koroni. A small yet absolutely beautiful and perfect preserved castle built on the shore with an excellent natural harbour, which in medieval times was a station on the pilgrim road to the Holy Land and cargo ships from West to East. The Methoni Castle can be reached only by foot following a stone path from the beach outside of a castle’s walls. 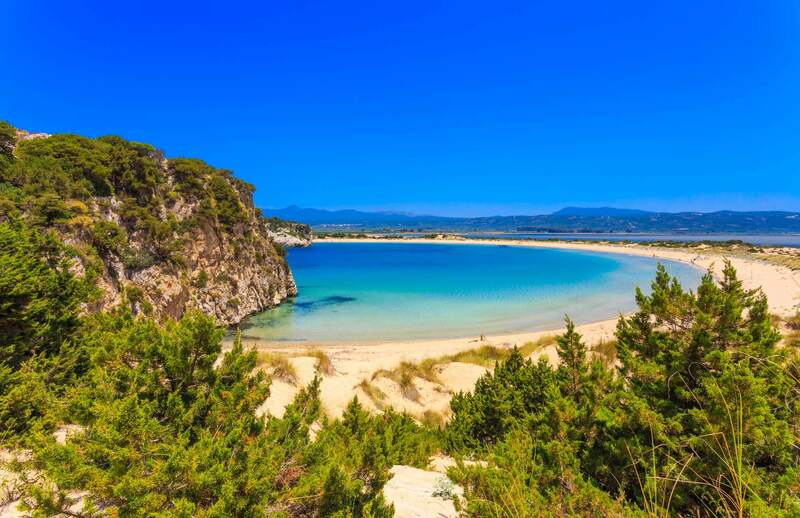 The main road that you have to take afterwards is beside a natural protected park of wildlife and nature very close to the historical town of Pylos. Pylos played a huge part in the revolution against the Ottomans in 1821 and you can learn some more inside the museum located inside the Niokastro castle’s area. Exhibits like old guns and traditional clothing back from the 19th century will travel you back in time, where independence and peace in Greece were not for granted, whereas fights were to be taken in order the Greeks to regain some benefits and rights. A true, live history lesson for all! The view to Navarino Cove from the castle is stunning and the, usually, calming sea is a piece of art to observe as you are taking some marvellous pictures of the landscape. The time for you to check in a hotel has come, so unpack your belongings once more in Karalis Beach hotel in Pylos town right on the edge of the seaside. A small boutique hotel with personalized service and clean, modern decorated rooms that some even overlooking the sea. A luxury option is, of course, the worldwide known The Westin Resort Costa Navarino in an enormous land with many hectares, including a golf court, spa facilities and many many other things to do and spend your time even if it is short. In the noon is a very nice time to visit one magical place near called the Neda. 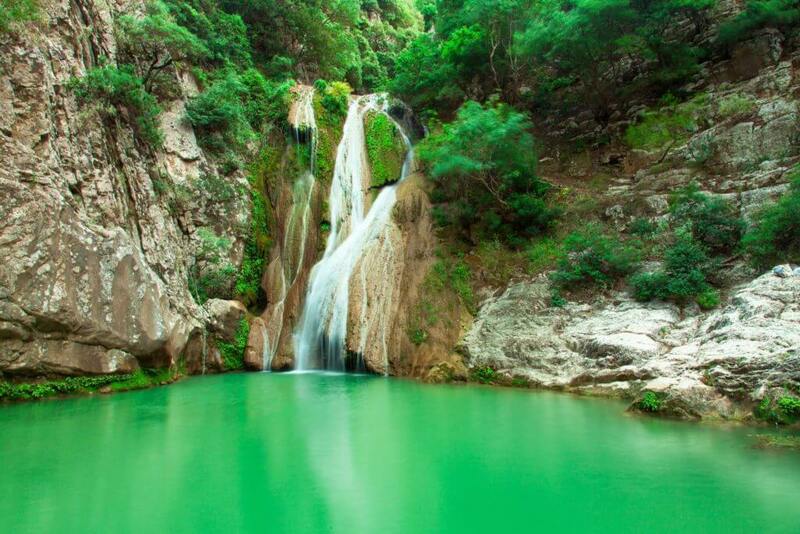 A small natural pond has been created by a short waterfall that comes directly from the river Neda with many trees around and green cliffs. It is a place where exactly due to the plants and trees has a lower temperature than the rest of the region making it a perfect oasis on the hot summer days. For swimming and laying for hours in the sun, there isn’t a better option than Voidokilia beach. A beach that especially from above looks amazing and perfectly shaped in a round circle, has crystal clear water and deep blue colour in the middle of it. The most photographed place of all Peloponnese stands there in front of you to enjoy and relax. Very close is Gialova town ideal for a coffee or dinner later at night and if you are interested in the animals and plants of the area, the Divari Lake and the protected environment around it will satisfy even the most demanding ones. Located right behind Voidokilia beach is better for you to visit very late in the afternoon as the sun goes down in order to capture the pink colours of the horizon and the reflections on the surface of the lake.